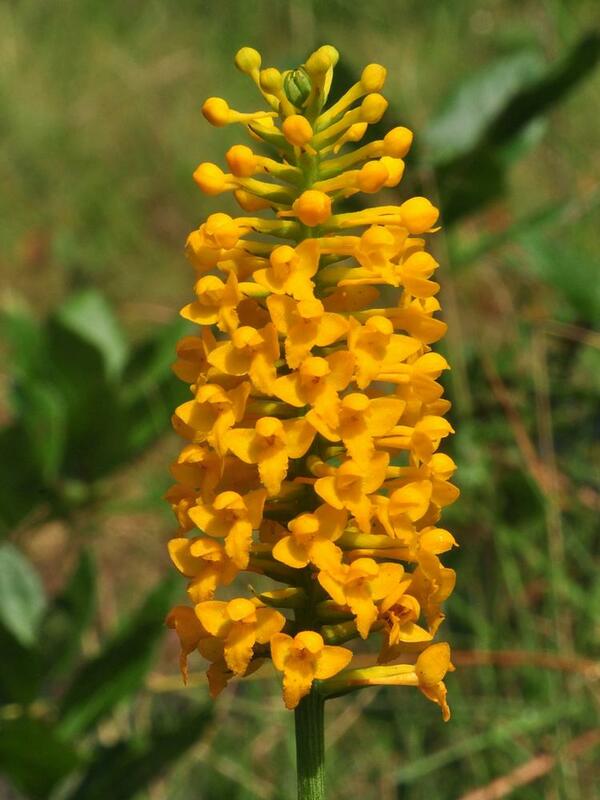 Platanthera integra, commonly called Yellow Fringeless Orchid, is distributed in the southeastern United States and around the Gulf Coast, from Texas to North Carolina, with disjunct populations in New Jersey. 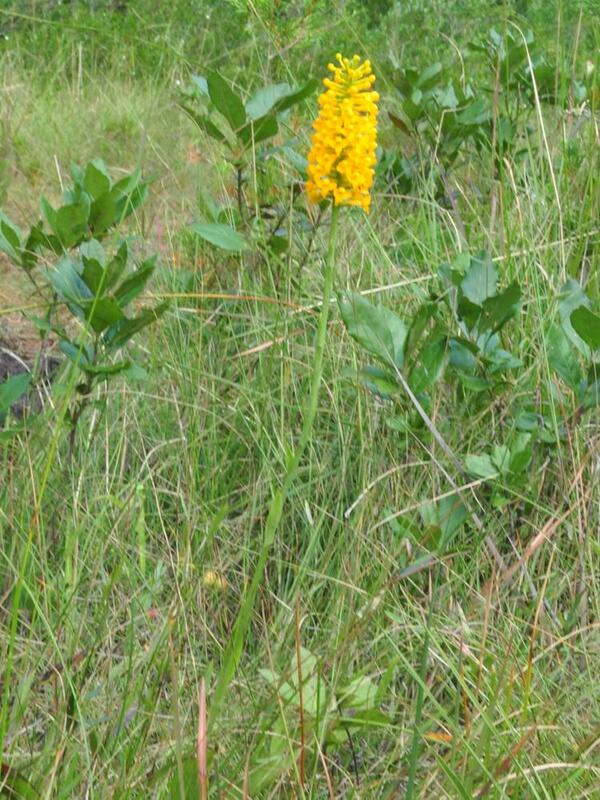 It produces 1-3 spreading stem leaves which abruptly reduce to bracts further up the stem. 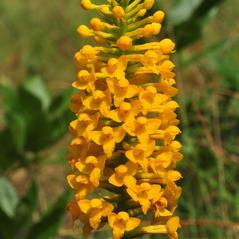 When flowering in late summer or early fall, it bears a dense inflorescence of distinctively orange or yellow flowers with an entire (unfringed) or slightly lacerated labellum. 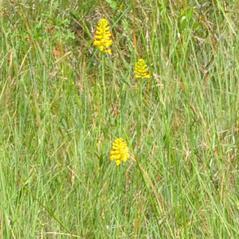 It can be found growing in wet woods and pine barrens, often favoring sandy soils. 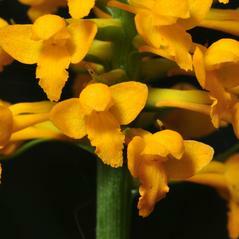 Platanthera integra is considered globally vulnerable, and is rare throughout parts of its range. 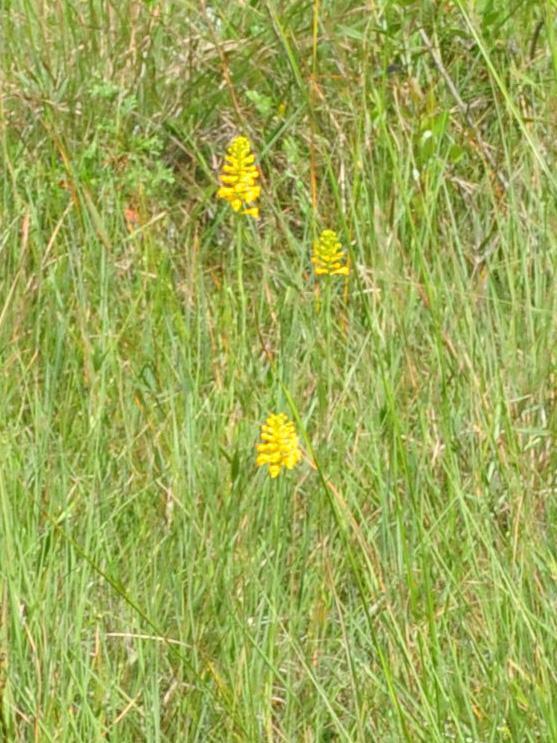 It is thought to be most closely related to P. clavellata and P. nivea, with which it shares a similar column structure. 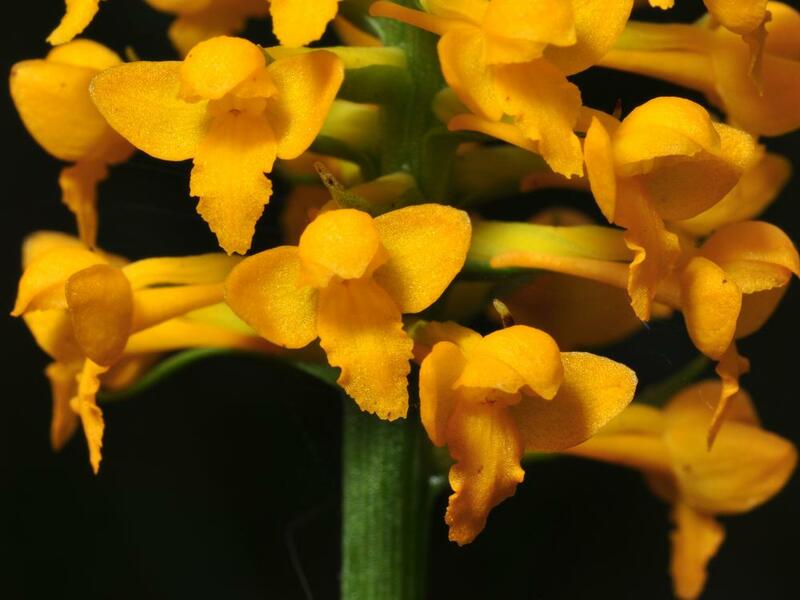 It can be distinguished from P. cilaris and P. cristata, both of which also have yellow or orange flowers, by its entire, unfringed labellum. 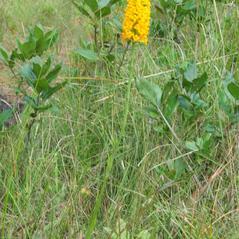 Bombus pensylvanicus has been identified as a pollinator of this orchid.